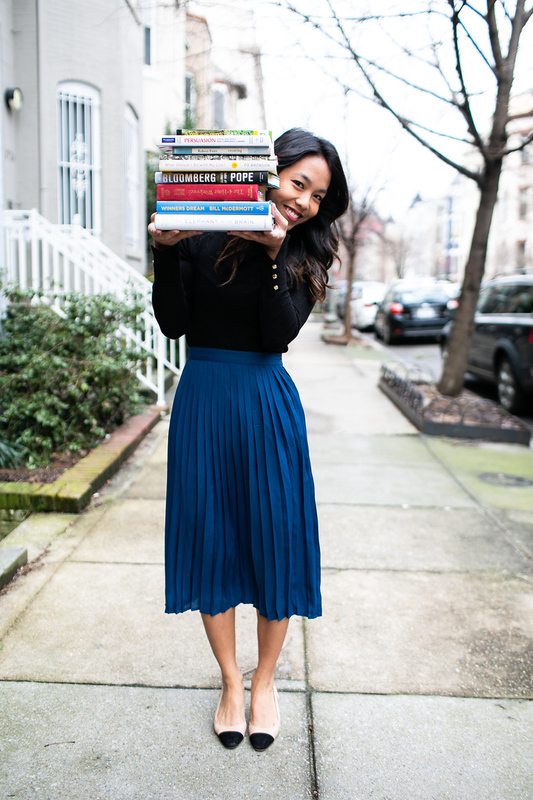 Over the past year and a half, I’ve amassed an impressive collection of pleated skirts, and I’m not mad about it. I prefer to wear skirts over pants, in part, because it is a lot easier for me to find skirts that fit my frame than trousers/jeans. I was actually looking for a navy blue skirt, and ordered this one from Modcloth. While I was disappointed that it wasn’t navy blue, I decided to keep it rather than return it since it pushed me outside of my normal color scheme. 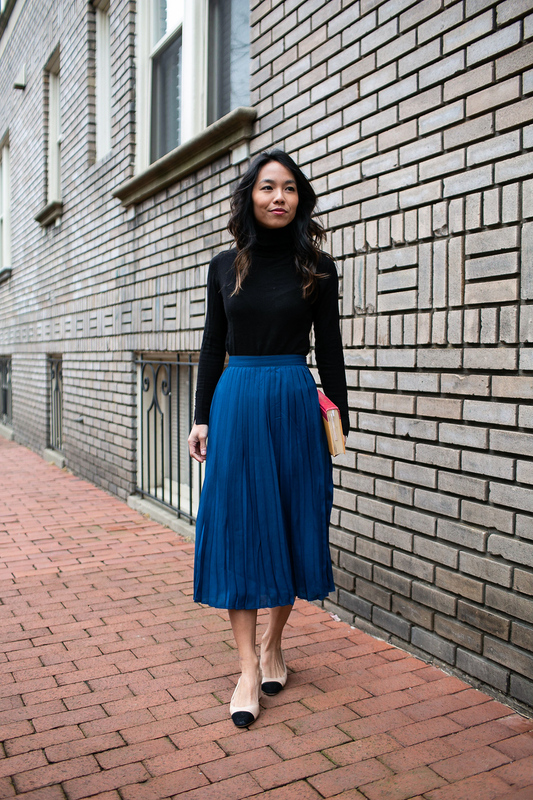 For the office, I’ve paired it with a black turtleneck and my go-to cap-toe heels. These two pieces are probably the most worn items in my closet.